Wonder shall never end in this world. Thou we've seen a lot of mistakes from E-commerce companies in the past with ordered product delivery, but this is different. 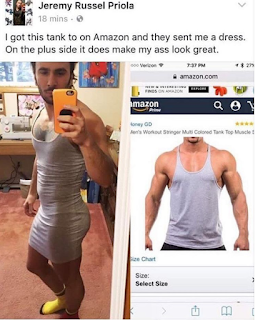 This man ordered for a Tank top on Amazon, but this female dress was delivered to him instead. 0 on: "Man Ordered A Tank Top On Amazon, But See What He Got Instead"